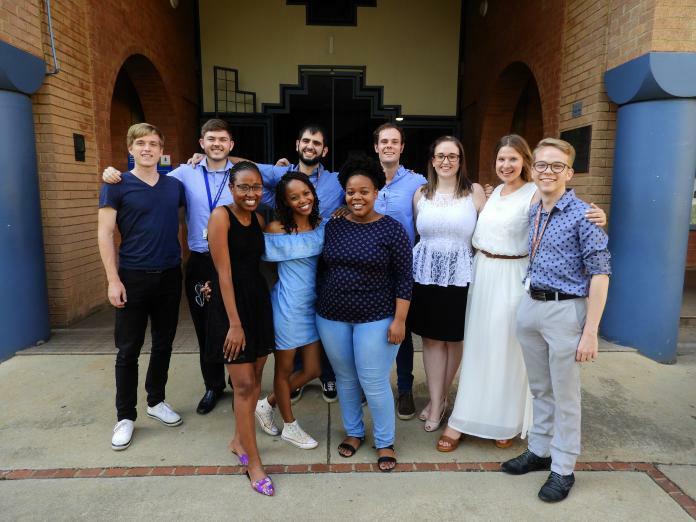 The Chartered Accountancy Programme of the University of Pretoria (UP) once again delivered excellent results in the January 2019 South African Institute of Chartered Accountants’ (SAICA) Initial Test of Competence (ITC), the first national professional exam with a pass rate of 94.1%. This makes it the best performer of all universities in South Africa. The above-mentioned pass rate of 94.1% for first-time writers is consistent with UP’s average ITC pass rate over the last 13 years of 94%. UP is also first in South Africa when considering both first-time and repeat candidates with a pass rate of 93.7% compared with a comparative national pass rate of 71%. “We believe UP’s consistency in high ITC pass rates over many years is unprecedented. The EMS Faculty and staff of the Unit for CA Education of UP are extremely proud of our students and commend the combined effort of students and staff in making these remarkable results possible,” said Prof Johan Oberholster, Deputy Dean of Teaching and Learning and CA Programme Co-ordinator in the Faculty of Economic and Management Sciences. UP has further demonstrated its dominance in this field with the Thuthuka Bursary Fund students at UP who achieved an impressive pass rate of 94%, which is in line with that of UP as a whole and compares favourably with the national Thuthuka Bursary Fund pass rate of 70%. UP had one candidate in the Top 10 – Daniel Hӓfner – who came fourth out of the 3069 candidates who wrote the exam. Hӓfner passed the exam with distinction, which is an excellent achievement. “I wish to congratulate Prof Johan Oberholster, the four heads of department and all the staff involved in the CA programme on this exceptional performance. These excellent results, in combination with our recent 2019 QS Subject Field Ranking of Accounting and Finance (201-250), are indeed worth celebrating,” said Prof Elsabé Loots, Dean of the Faculty of Economic and Management Sciences. Producing high-achieving professionals in scarce skills areas makes a decisive difference to economic growth and transforming lives in our society. The high pass rate of African students at UP will make a significant contribution to creating a more diverse CA profession. Student Times, The Pulse of the Community is an online publication targeted at the empowerment of student communities with reliable information that will provide them the competitive edge to make informed decisions and choices on their life journey as students.